Have you ever heard someone say they do not want to go to Iceland because it is over-photographed and too mainstream? 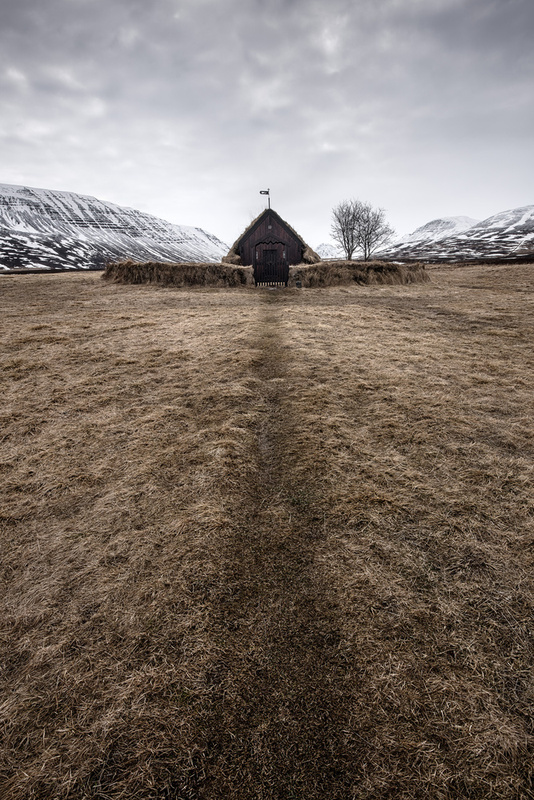 Arguably, Iceland is the most popular landscape photography country on planet Earth. It is easy to access, it is easy to get around with a small car, many of the top locations are next to the road, and the landscapes are foreign, epic, and diverse and change a lot during the seasons. Ice caves, glaciers, mountains, and waterfalls in all shapes and forms, geysers, basalt rocks, flower season, autumn colors, midnight sun, minimalist winter conditions, iconic Icelandic horses, volcano craters, black beaches, valleys, canyons, vertical cliff sides, epic sea stacks, caves, an old culture, and not to mention, it is one of the best locations in the world to witness the northern lights. There is something for everyone – a landscape photography paradise. 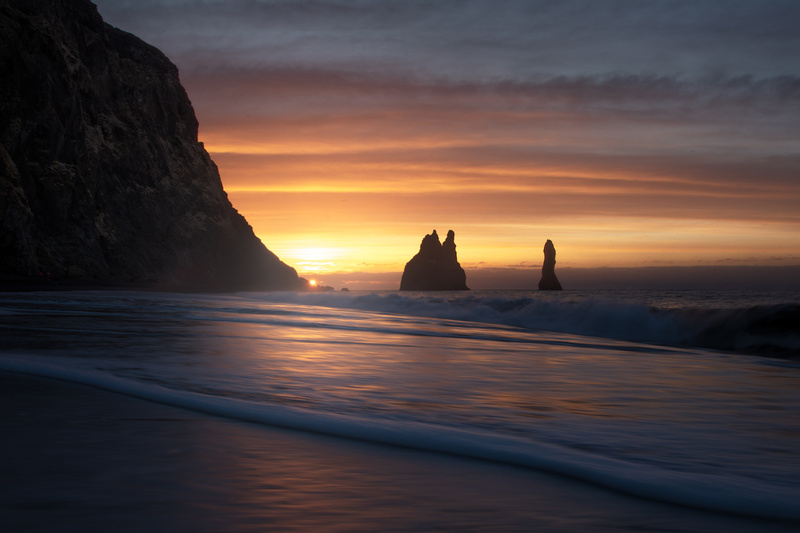 Reynisfjara is one of the most iconic landscapes of Iceland. 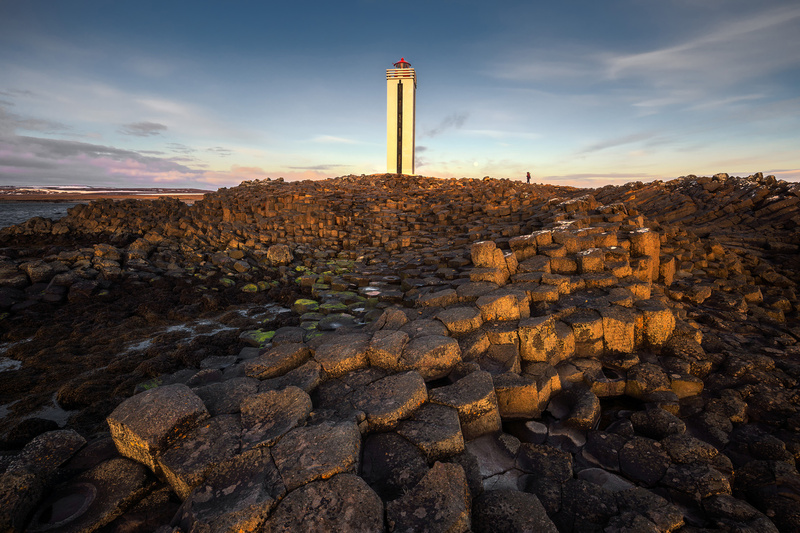 About the same time as Fstoppers and Elia Locardi made the first part of Photographing the World, Iceland experienced a tourism boom. Personally, I can say that it was their behind the scenes videos which inspired me to go to Iceland in the first place. From a landscape photography community members' perspective I would argue that Fstoppers is partly to blame in the rise of Iceland as a popular landscape photography destination. 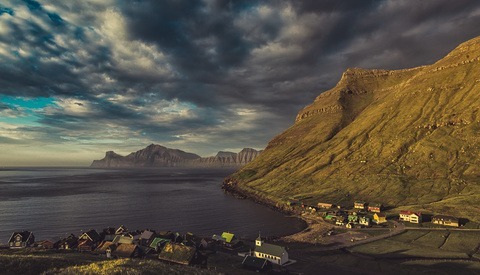 With more than half a million views on YouTube, the first free lesson from Photographing the World has probably inspired more than a couple of people to go to Iceland for landscape photography. Not to mention my own YouTube where I dedicate one video per location I visit. When I am done with the current batch of videos, I will hit 41 episodes of Iceland! Moreover, I have only just covered famous locations such as Godafoss and Londrangar and have yet to cover famous locations such as Hraunfossa, Háifoss, and Landmannalaugar. That in itself should bear witness to the fact that there are plenty of fascinating, inspiring and beautiful locations to visit. Yes, some locations are more visited and iconic than others and therefore more photographed. That is simply the human condition and how tourism works. After all, there is only one Eiffel Tower and one Skogafoss. 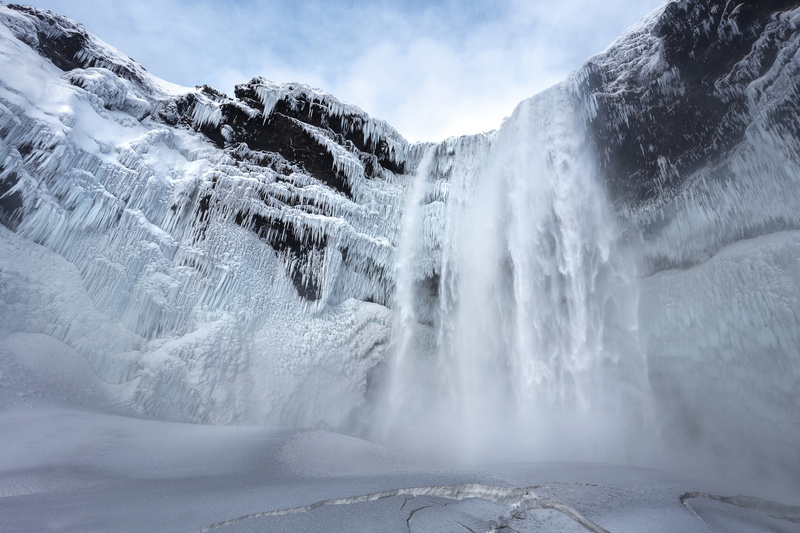 The iconic Skogafoss in Southern Iceland during winter. As the pendulum of life swings at some point, some people “get enough” of the same thing. Being a member of 25+ different photography groups on Facebook and mainly following photographers on Instagram, I get exposed to such a vast amount of landscape photographs each day, I know the names of most iconic locations around the world without having even been there. Trust me, I get why thoughts like “we don’t need more photos of X”, “X, has been over-photographed”, “you can’t make an original photo from X”, “having a photo of X in your portfolio is too easy”, and “you can’t sell a photo of X, because the market is too saturated” arise. Where I go on a photography tour all comes down to my goals. Do you want to learn, do you want to explore, do you want to experience, do you want to earn money etc. Do you want to do it all? As a landscape photography “photo tourist”, you go to Mt. Kirkjufell for the same reason as wildlife photographers go to photograph a lion. 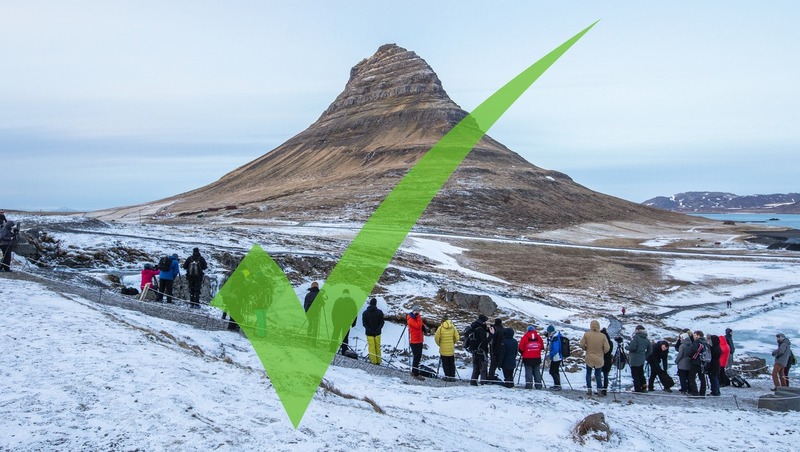 There can be several different reasons but for the most part, I do not believe anyone thinks they are inventing the deep plate by photographing Kirkjufell. The vast majority of people photograph for themselves and have absolutely no intention of going full time on landscape photography. A freezing February morning at Mt. Kirkjufell. All the photographers are ready! A good and diverse collection of locations. These locations are all relatively known as they have a name. Some of them are hard to reach while others are next to the road. Then think about the thousands of waterfalls and incredible rock formations you will pass on the road. Many of them only requires a small hike. In addition, I have not even mentioned the highlands yet! Grafarkirkja is a perfect focal point. Do you know where to find it? Did you notice the rock arch on top of the mountain next to the road on your way to Jökulsárlón glacier lagoon from Skaftafell? I am not going to tell you where that is. You will have to find both the location and inspiration yourself. Tourism is the leading industry of Iceland and many tourists come to see the iconic locations. Even though the vast majority of people do not leave trash around and even if nobody did, there will always be a natural corrosion when many people visit the same location. That can be a problem but a theme for another article. 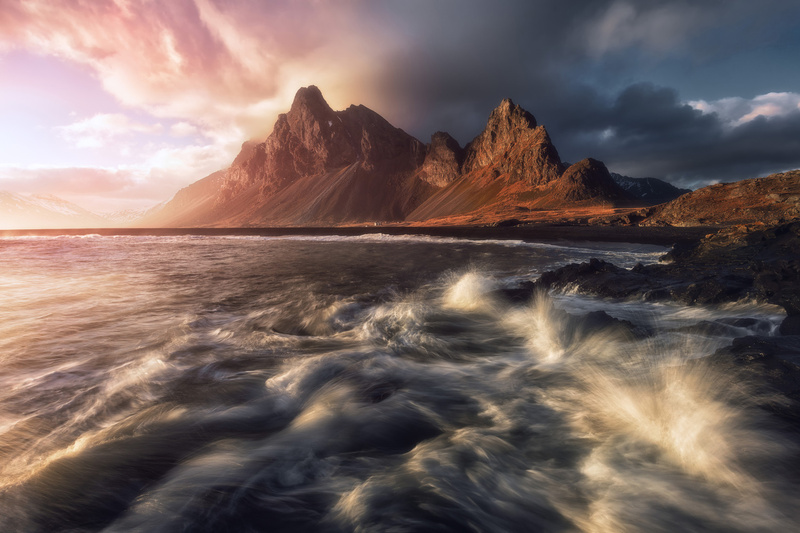 The epic Eystrahorn. Just as fascinating as its sister-location Vestrahorn. No, Iceland is not over-photographed. I would even go as far as to say the sentence does not make sense, unless it is from the perspective of stock-photography and even then, you can just leave the beaten path to get away from all the tourists if you want to create something relatively original. You might want that iconic summer sunset photo from Kirkjufell because it is an eye-catcher. Maybe you just want it for the experience? And that is all fine. Do not feel bad for that. If you want originality all you have to do is leave the beaten path. That in itself is fun. Exploration is a big part of the experience for many landscape photographers. Seeing opportunities where most people would just shrug their shoulders and think, “There is no photograph here” is a worthy and exciting challenge many photographers enjoy. Kálfshamarsvík is a small cove in the northern part of Skagi, with unusual, beautifully formed sea cliffs of columnar rock. This is not meant as a raised finger or a commercial for Iceland. If you do not want to go to Iceland for whatever reason, of course you should not go. The entire point was to deal with the sentence “Iceland is over-photographed”, which I disagree with. But maybe I did not cover it fully? What are your thoughts? I have no desire to shoot what everyone else does, and tend to avoid places that have been shot to death. I live near Antelope Canyon, and have never gone. As cool as it is, shooting something that has been shot a million times before has no interest to me from a image standpoint. 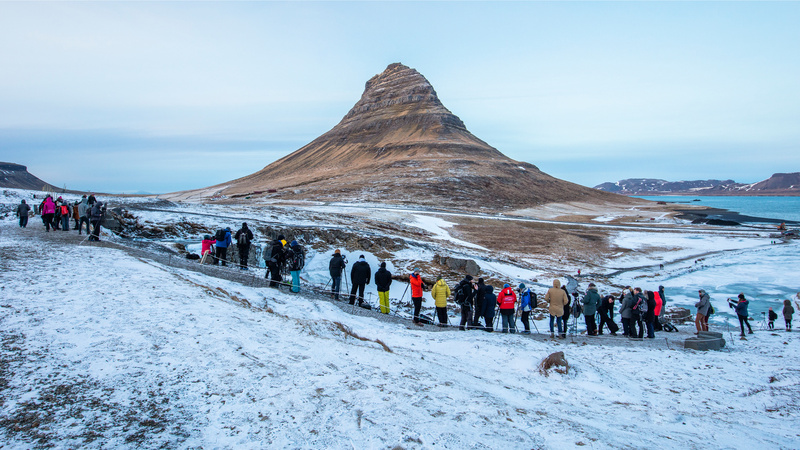 I'd love to go to Iceland, but can't imagine standing behind a rope to take a shot with a horde of others. I'd be out looking for something different. So the whole country is roped off? I guess I don't want to go to Iceland. I'm more the, wade out into the water with my gear over my head to get an angle no one else has gotten. It is what makes me happy. Not standing in line. No, the whole country isn't roped off. If you get yourself injured while doing what you describe it's your own damn fault. All we do ask is some common sense. Actually, I don't remember seeing any roped off areas in Iceland in July a couple years ago. However, I did notice a lot of locations that seemed really dangerous and there were no ropes or signs. In fact, there is a dearth of warning signs in Iceland. Your're on your own. Period. I don't know what he was talking about because I didn't really feel any restrictions for where I could photograph. Iceland is very open for your own photographic interpretation. Yes there will be crowds in some locations but on my trip I found endless spots where not only was I the only photographer but seemingly the only person around for miles. Iceland is awesome for adventure just stay away from the popular tourist spots by driving into the more wild country. I'm pretty sure he was being sarcastic with the "one or two" comment. I honestly don't understand your approach of not going to a beautiful place such as antelope canyon just because it is photographed. If you only go somewhere for photographies sake, why go at all. Isn't it possible to visit and enjoy a natural spectacle without camera? Camera or not, those places are packed with people. Really destroys the point of being in nature. Exactly. I go to places I enjoy, and I don't enjoy crowds. Notice that it is the light that makes the great images. In Yosemite, that special light may only last a couple moments. You can be in the Valley for weeks and never really see any special light. I belive this is sarcasm, there are a few spots roped off bit for the most parts you are on your own. In fact we have had number of insidents where tourists have died or gotten them selfs in real troubble. Sounds like you should just find a new hobby. If you care so much about what other photographers have shot, why pick up a camera if you also feel you’ll just duplicate their shots... that’s essentially what you’re saying. You’re unoriginal and lack the ability to come up with your own composition ? Hate to be blunt but that’s what your comment says. With or without a camera, I have no desire to go places full of people. I take pictures for my own self enjoyment now, and I don't find crowds enjoyable. I have taken and sold many thousands of images that were shot from the standard spots, but I did that for money, not for fun. It really has more to do with being out enjoying myself. We are booking a trip to Italy. Rome and Venice are NOT on the agenda. I'd love to see some of that stuff, but I'm not willing to pay the price of the crowds to do it, it's just not that cool IMO. We will stick to out of the way towns, like we did in Japan. You sound like me... as I have aged, the more people and places I have seen, literally thousands if not tens of thousands of hamlets, towns, cities in 47 of the 50 states and four foreign countries, mostly in the back alleys and nooks and crannies where tourists dare not dwell. I have developed an allergy. I am allergic to humans at this point. They give me hives. Regarding the article, there were several photos which showed remote locations that did not have anyone other than the shooter visible, but of course like humans do, some picked out the one photo of people on a sidewalk lined by rope and felt compelled to scoff and scorn. If you look closely, the rope is not to keep photographers in line, it marks the path between the walkway and the snow. A mere indicator of where the hazard of slipping is. But, as is so often the case, where there is a mole hill... someone will see a mountain. I suggest a cup of warm tea. I just went to Iceland in June. I was in a group of five, and other than tourists, we didn't see any other photographers. The picture in this article is misleading. I didn't see any areas roped off. It is extremely easy to get around and there are thousands of places to go and shoot. Plus, you can drive off-road in so many places and never see another human being for hours. The key is making your own personal statement with your images. In what way is the photo misleading? I felt that it was misleading because it shows a huge cadre of photographers and it "appears" that they are standing behind a rope (this was the point of the individual to whom I replied). It made it look like a touristy kind of place. When I was in the Patagonia and June, I went to two popular areas, and there was nothing like that especially with photographers. So, to me, that photograph was not the best depiction of the Icelandic experience... other than that, no harm, no foul. 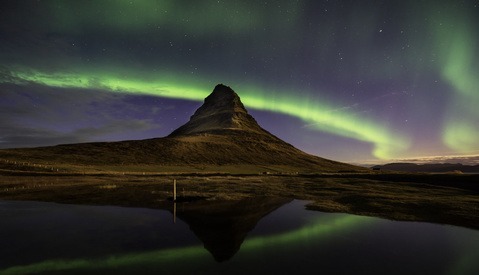 The picture is from Kirkjufell which is one of the few places that is roped off. On the other hand talking about driving off-road is misleading since it is against the law here and can result in huge fines. What you are more likely refering to are all the gravel roads and tracks. OK then, I am referring to gravel roads and tracks. In the U.S. that would be off-road; I am no expert in Icelandic Law. The point is that it was open and inviting without hordes of tourists or even photographers. There was plenty of space and the ability capture iconic landscapes. So, I stand by my comment that the photograph is not a representative depiction of what I saw in Iceland smack dab in the middle of June, a very touristy time of the year. I would recommend any photographer to go there, and I plan to return at some point. Antelope Canyon in the 1950's was nice, quiet and not heavily visited. In the 60's things picked up a bit but still had plenty of quiet time. Then, the photo tours started. Small at first. More and more showed up. Many set up on specific locations after seeing "that photo" by other photographers. Iceland is going through the same thing. You see the same dozen shots over and over and over again. A lot like OUTDOOR PHOTOGRAPHER magazine which is pretty much the same couple dozen articles recycled way too many times. If you can't go to a place and find your own locations without a tour guide and a crowd - stay home. Wherever I am, I enjoy the challenge of successfully photographing the obvious, and also of finding the not-so-obvious and making a compelling image of that too. This approach has nothing to do with anyone else or what they have or haven't shot. So when I go somewhere and make an image there, it makes little difference to me whether I'm the first person to take a photo there or the billionth. Agree. If this is not a job then the process of photographing landscape should be fun and enjoyable. Yeah, the level of enjoyment really depends on photographer objectives. For some it could come from achieving a slow exposure landscape for others it may require a meaningful foreground for storytelling. The same applies to other genres of photography. If someone is satisfied with reproducing an “iconic” photo, let it be and don’t judge. Is the only reason to visit someplace "to take a photo"? How about...to see the world outside of your 4 city blocks. The picture is secondary, unless you are selling something. I kinda agree with you but on the other hand, is skiing the only reason to go to Aspen? Mountain climbing the only reason to go to Mount Everest? If I enjoy photographing a place, why is that less noble than any other activity? Having said that, I understand your point. LOL because those places are developed SPECIFICALLY around the activities you mentioned. There is the difference. 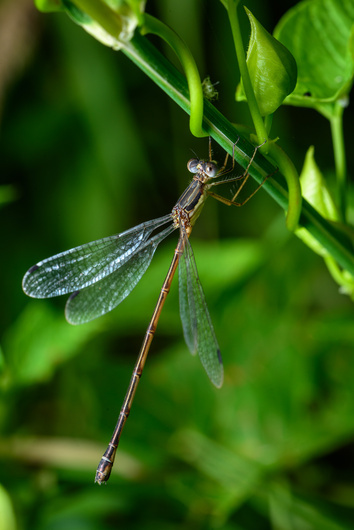 Edit: To illustrate my point, I could easily see this dragonfly but couldn't see the details well (I'm far sighted). As I got closer, I was also able to see the aphid? it was stalking on the other side of the stem. The overall sight was far better than with my naked eyes. When there's an entire planet worth of scenery and a huge percentage of the photographic community converges on a single tiny country, it's probably safe to say that it's over-photographed. That's not to say that there aren't original photos yet to be taken there, but why go out of your way to actively avoid the hordes or obvious shots and hunt for those unique photographs when there are literally millions of places around the globe that haven't been turned into postcards yet? As photographers in general, we would do well to spread out a bit more and stop hopping on every tour or workshop to Iceland, Namibia, or whatever other location is the flavor of the month because some popular community figures took nice photos for their portfolio there. There's a big world out there and Iceland seems to be rather disproportionately represented in the genre of landscape photography given it's size relative to the rest of the available land mass on this planet. Rather than encouraging people to try to find that little archway in your photo, why not encourage them to try to find another country that might produce some great photos and also possibly benefit from being a flavor-of-the-month tourist destination for a while when word inevitably spreads?